Self Cure Remedy details of Drink licorice root tea for the care and relief of Cough, including effectiveness and popularity scores of the remedy. 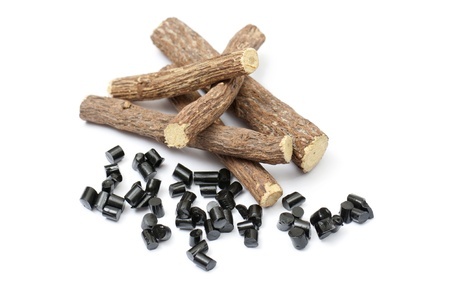 Put 2 tablespoons of dried licorice root into 8 ounces of boiling water and let it sit for 20 minutes before drink it. Licorice contains glycyrrhizin, which has been found to be linked to health issues for kids when consumed in large amount by their mothers during pregnancy. Avoid taking licorice if you are pregnant or nursing. Ii is also not recommended for children. The self cure remedy of Drink licorice root tea for the care and relief of Cough has an effectiveness score of 3.2 and a popularity score of 35 on the self-cure system.